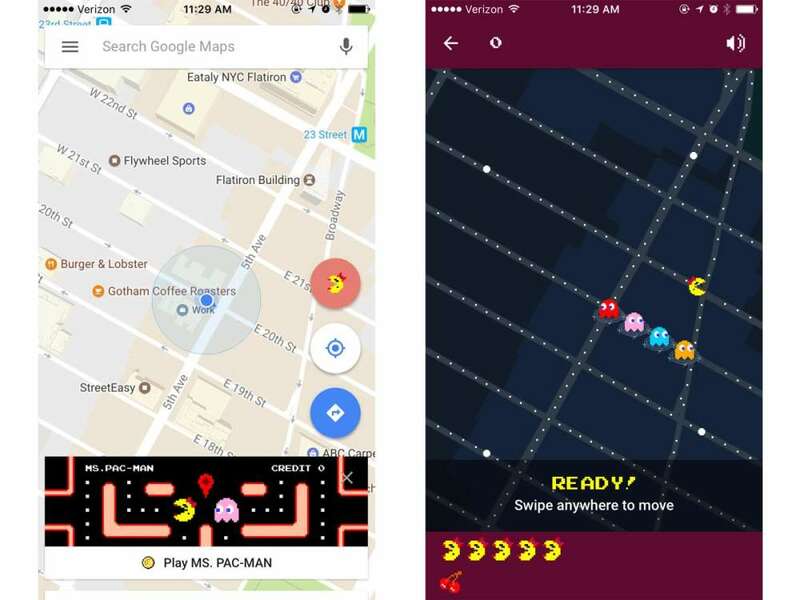 Say goodbye to your productivity today — Google added "Ms. Pac-Man" to the Google Maps app in honor of April Fools' Day. It may not be the most original trick — Google did the same thing on the desktop version of Maps in 2015 — but it's a whole lot of fun. Because Google put it in the mobile app, you can play "Ms. Pac-Man" on your phone just as you would any other game. And it's easy to find: Open the app on your phone, and a button to start the game will be front and center.